This issue:?? Evaluation of blood pressure, treating kidney disease, treating anemia, plus how and what to put into a pet first aid kit. Checking the pulse and evaluating blood pressure. Evaluate?? your pets blood pressure by palpating their pulse. The?? best?? spot?? to do this is on the inside of the back leg (thigh).?? Place?? your three middle fingers across the middle of?? your pets inside thigh and apply moderate pressure. Here you?? are?? feeling the femoral artery. This is more difficult in?? small?? dogs?? and?? cats. Count the number of pulses in 15 seconds and multiply that number by 4. This will give you the beats per minute (bpm). The?? pulse should be strong and regular.?? In?? some?? conditions,?? the pulse can be too strong (high?? blood?? pressure). This is a common condition in cats with kidney failure. If this is the case, then your pet must be seen by a veterinarian, who may check for diseases that can cause elevated blood pressure. FLUID, FLUID, FLUID. The most important thing that you can do for your pet with renal failure is to maintain adequate hydration. Offer lots of fresh water. If your cat isn’t a great water drinker, then make the switch to canned food. LOWER PROTEIN AND PHOSPHORUS LEVELS. Newer research has shown that the most important thing to restrict in early kidney failure is phosphorus. This mineral speeds up destruction of the remaining kidney cells. Stop all dairy products as they are very high in phosphorus. Feed a specific, moderately reduced protein diet, such as a premium quality senior diet, in the early stages. As kidney failure advances, switch to a restricted protein diet. This refers to the normal pink color of your pets gums. Lift up?? your pets lips and examine the gums. They are normally a light?? pink?? color,?? although?? this?? is difficult to tell in breeds?? with?? dark?? pigmented?? gums. Assess your pets blood pressure?? by?? measuring?? capillary?? refill time. Press your index finger on the gums and count the time it takes for the pink?? color?? to?? return.?? Three?? seconds?? or less is normal. Greater than three seconds suggest low blood pressure, as is seen?? in?? cases of blood loss. In cases of bleeding your pet may become anemic. This is seen by the gums becoming a paler color,?? and?? at?? times?? even?? white. In this situation it is first?? important?? to?? have?? your?? veterinarian determine the cause of the anemia, but there are things that you can do at home. HOMEOPATHIC.?? A?? common remedy for many types of bleeding is Phosphorus. I would dose it at 1-3 pellets of Phosphorus 30C twice?? daily?? for?? 3-5?? days.?? They will go down easier when mixed with ice cream. ACUPRESSURE.?? Some veterinarians have had success using this nitrating?? a?? variety?? of immune related disorders. The GV14 point located at the base of the neck , between the shoulder blades. Apply pressure for 1 minute three times daily. This discussion about bleeding leads me to the final part of the day 7 e-course. Every pet owner should have a Pet First Aid Kit. Here are some basic items that all first aid kits should contain. 17.?? Razor Blade can also be used to shave away hair and abrade the skin following a tick bite. 22.?? Numbers for the Animal Poison Hotline & Poison Control for Pets (800/548-2423 or 900/680-0000 both numbers charge a fee). The National Poison Control Hotlines for humans should also be included. In and of itself, healing your pet at home is easy. The Exam – If you do this every week you will become very skilled. Diagnosing the problem with your pet – as you become comfortable with the exam, then you get to know which area of your pet’s body is affected when they are sick. The treatment. Every natural treatment option is in my book. These are the things I teach. 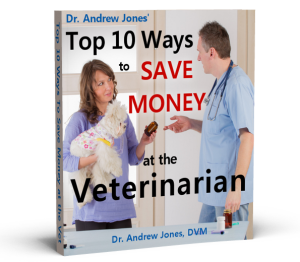 Why don’t you get Veterinary Secrets Revealed today and find out more about how it all works.